Instagram is different from other social media networks because of its user interface and functioning. Unlike Facebook, where you have to send friend request to connect with other people, Instagram allow users to follow each other. It is one-sided action means if someone will follow you, only he will be able to get your updates in his news feed. If you would also like to connect with the person, you have to follow him back manually. 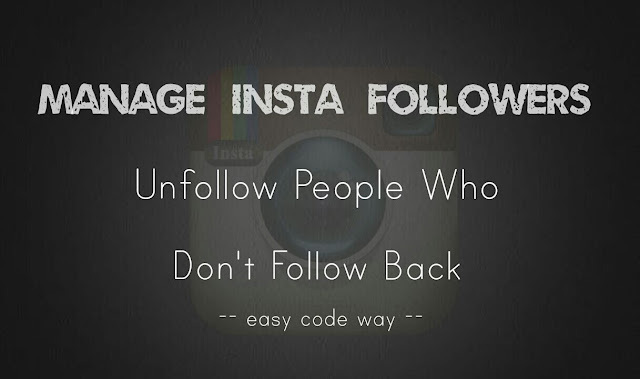 Instagram is popular because of this strategy to follow people. As discussed in my previous post, one of the easiest way to increase your Instagram followers is to follow some random people in bulk. They will also follow you back in return. This is called follow-for-follow technique. If you also do this, then you might have followed many people who aren't following you back. Unfortunately, Instagram doesn't comes up with a feature to find your non-followers. It would be a tedious task to unfollow them manually when your following list is very large. Not all apps do what they claim to do in their description. So make sure to read the reviews of app and find which one is most reliable. I recommend you to use InstaFollow or Followers Insight. I have used InstaFollow many times and it do its job pretty good, though you will be annoyed with too may ads and pop ups. First install InstaFollow app from Google Play Store and open it. Now login to your Instagram account. Once data is loaded, open the non-followers list and see who isn't following you back. Tap the "Unfollow" button next to the person you want to unfollow. That's it. 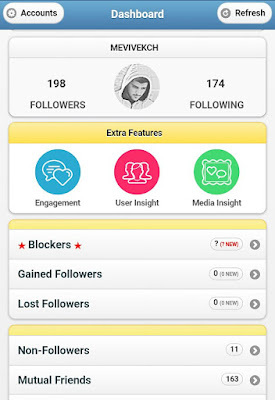 If you will unfollow too many people with this app, Instagram may block your account for spam activities. That's why there is a time period limit to unfollow people. 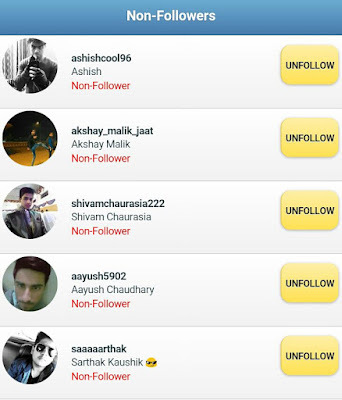 Another way you can use is to take screenshots of the non-followers list and then unfollow people manually from the Instagram app. Note that, these third-party apps uses the Instagram API to fetch user's data but they are not endorsed or associated with Instagram officially. Once your task is complete, you can disconnect InstaFollow from your account by removing its app. 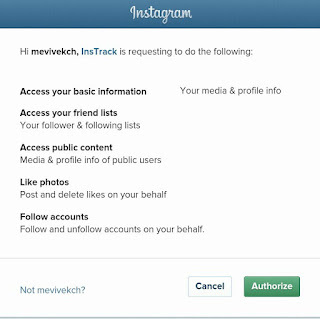 Read this complete guide on how to revoke app access in Instagram. If you have any doubts, feel free to share them in the comment box. App doesnt work at all. Cannot even sign in. Link broken in article. Assuming this article is ancient and not updated.